Fiberglass vs Aluminum Boats: Which One Is Better? 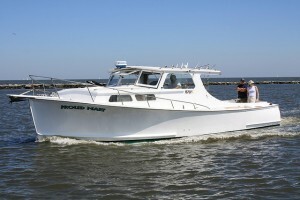 Fiberglass and aluminum are two of the most commonly used materials in the production of boat hulls. They are both lightweight, durable, and resistant to corrosion, making them popular choices among manufacturers. While they share some similarities, there are also some notable differences between the two. So if you’re thinking about buying a new boat, you should familiarize yourself with the nuances between fiberglass and aluminum hulls. Boats were manufactured strictly out of natural materials, such as wood and bark, until the mid 1800s. In the 1960s, plastic with reinforced glass (also known as fiberglass) entered the boating scene. 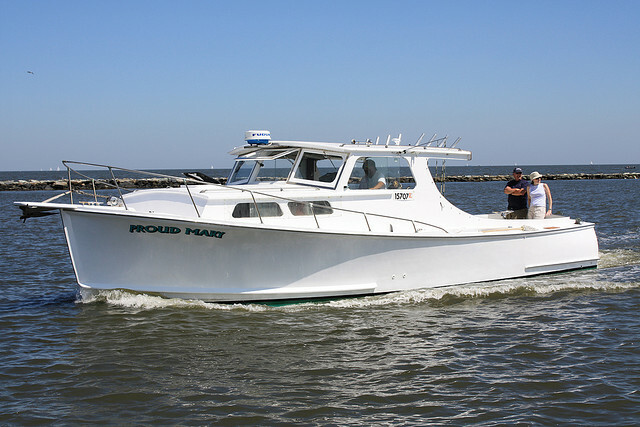 These boats became increasingly popular in the years to follow, with the United States Coast Guard giving them the name: “FRP” (fibre-reinforced plastic). In addition to being rust-resistant, fiberglass boats are incredibly strong and durable. This is especially true when the hull is manufactured in woven strands that are later soaked in polyester or epoxy resin. The end result is a hull of superior strength that’s able to withstand bumps and dings. When compared to aluminum, fiberglass hulls are quieter and and produce less noise. Aluminum tends to carry noise more easily, which can be distracting for fish anglers. Fiberglass, however, creates a strong barrier against noise, allowing you to enjoy the waters in a more peaceful and sere setting. But one of the potential disadvantages of fiberglass is its susceptibility to sun and temperature damage. This isn’t something that happens overnight, but exposure to the sun will gradually degrade the structural integrity of a fiberglass boat. A typical fiberglass boat hull may last anywhere from 10-20 years of “normal” use before it needs repairing. Aluminum was introduced into the boating scene about a decade or so before fiberglass. Being that aluminum is lighter, it typically results in greater fuel efficiency on the water. With that said, aluminum boats are also easier to pull on a trailer, requiring less torque and subsequently less fuel..
Aluminum also tends to last longer than its fiberglass counterpart. It’s resistant to rust, corrosion, and offers a strong and durable hull that’s able to withstand bumps against the dock. Aluminum may not have the same level of strength as fiberglass, but it’s still a viable material that’s perfect for use in the construction of a boat hull. As you can see, there are advantages and disadvantages to both aluminum and fiberglass boat hulls. Fiberglass is stronger but more susceptible to sun and temperature damage, whereas aluminum is lighter but not as strong.